The separator consists of a stationary electro-magnet, mounted on a shaft with an outer stainless steel shell completely enclosing the magnetic element. The drum heads and shell assembly rotate on bearings around the fixed shaft magnet. The entire drum assembly is supported in a stainless steel tank with a water level and discharge control. One side of this tank is transparent, so the separation action and water level can be observed. The Laboratory Model Wet Drum Separator has a capacity of up to 8 GPM (@ 20% – 30% solids, except for heavy media recovery circuits, where % solids can be up to 50%) and can be used in either concurrent or countercurrent operation. It is capable of simulating cobbing, roughing and the finishing stages of magnetic ore beneficiation. The L-8 uses an electromagnetic element, the field intensity can be regulated to determine optimum separation conditions. The magnetic field intensity is regulated by varying the DC voltage to the magnetic elements. In addition, by adjusting both the magnetic field intensity and the clearance between the drum and the feed pan, the magnetic force of any common magnetic separator may be simulated on the Model L-8 Wet Drum Laboratory Magnetic Separator (background gaus range from 400 g to 1,500 g). 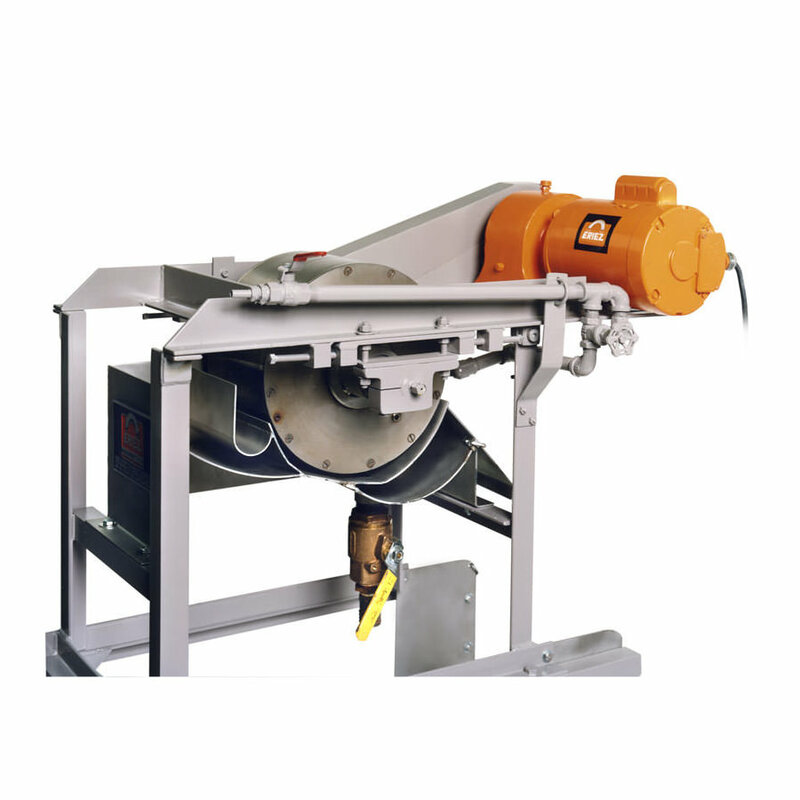 This makes the L-8 an ideal laboratory wet drum magnetic separator for simulating recoveries for cobbing, roughing and finishing applications by adjusting the DC voltage and the gap between the drum and tank.